Livorno Italy is an important seaport on the west coast of Italy. Many cruise ships dock at Livorno as it is the maritime gateway to the Tuscany region of Italy. It is also an important ferry terminal. The community has a number of tourist attractions including churches, forts and town squares. 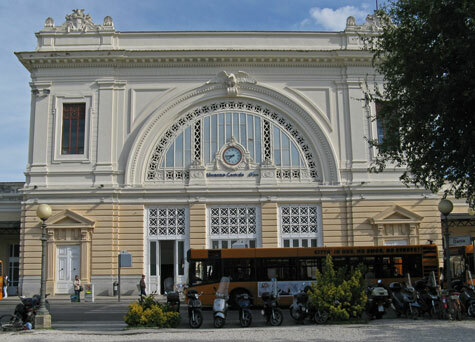 From the Livorno Central Train Station (Livorno Centrale), one can easily reach Tuscany's top tourist destinations including Florence, Pisa, Lucca and Siena. For those transferring to cruise ships, airplanes, ferries or trains, there are a number of hotels and tourist lodgings available in the city centre of Livorno and at the Pisa Airport.